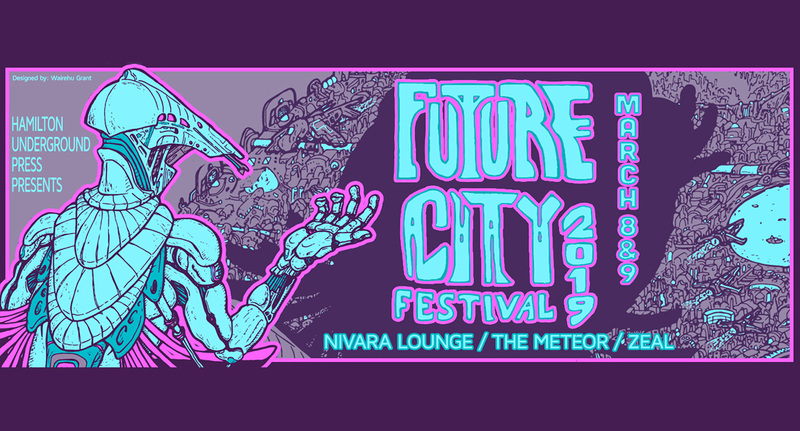 Hamilton Underground Press presents Future City Festival 2019 featuring Nadia Reid. Hamilton’s inner city underground music festival is back for its third year, and headlining the festival is award-winning singer-songwriter and guitarist Nadia Reid. Celebrated for her intimate musical soundscape and unique voice, Nadia Reid’s music has been described by The Guardian as “an understated, wise guide through uncertain territory” and by Revue as “allegorical and often brutally honest”. – 2 stages per night – venues for 2019 include The Meteor Theatre, Nivara Lounge, and ZEAL. Weekend passes and single-night passes are available now at undertheradar.co.nz. Please Note: Tickets sold online to this event are done so through a ticketing vendor that is not affiliated with The Meteor Theatre.